Marketing Silicon Valley properties Nationally and Internationally. 28 Years of Experience and Counting!! 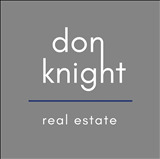 Call Don Knight at 408-313-2191 for a free evaluation of your home!